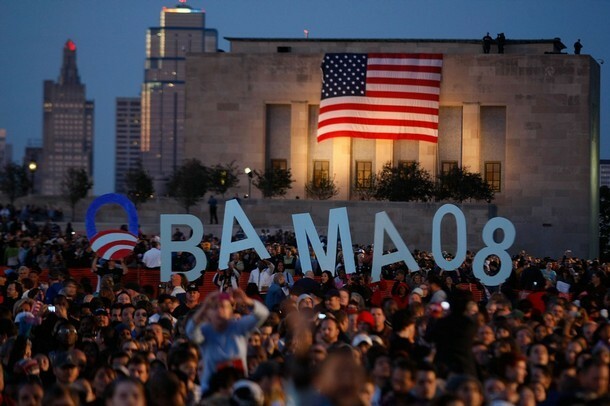 Barack Obama meets over 100,000 of his close, personal friends under the gateway arch in St. Louis, Missouri. This is Obama’s largest crowd ever in the United States, all the more remarkable for a battleground state like Missouri, where issues of politics and race run deep, and where a one-point victory can sometimes be considered a landslide. 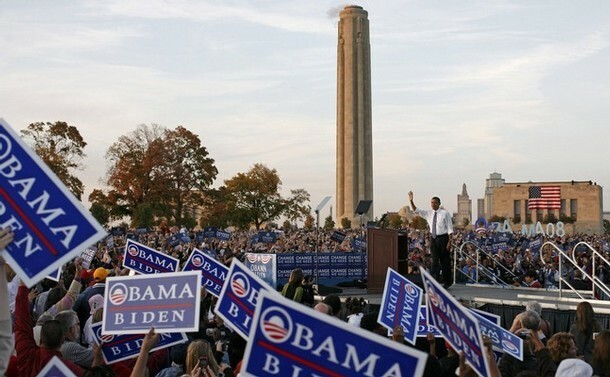 Update: In Kansas City (my ol’ hometown) 75,000 people greeted Obama at the Liberty Memorial. Not a bad turnout… but they’ll have to do better than that to top St. Louis.